‘As a lover of portraits, I’m always searching for the moment when a painting says more than the artist intended. I have painted my partner Tarragh many times but this picture captures a connection I could never put into words. 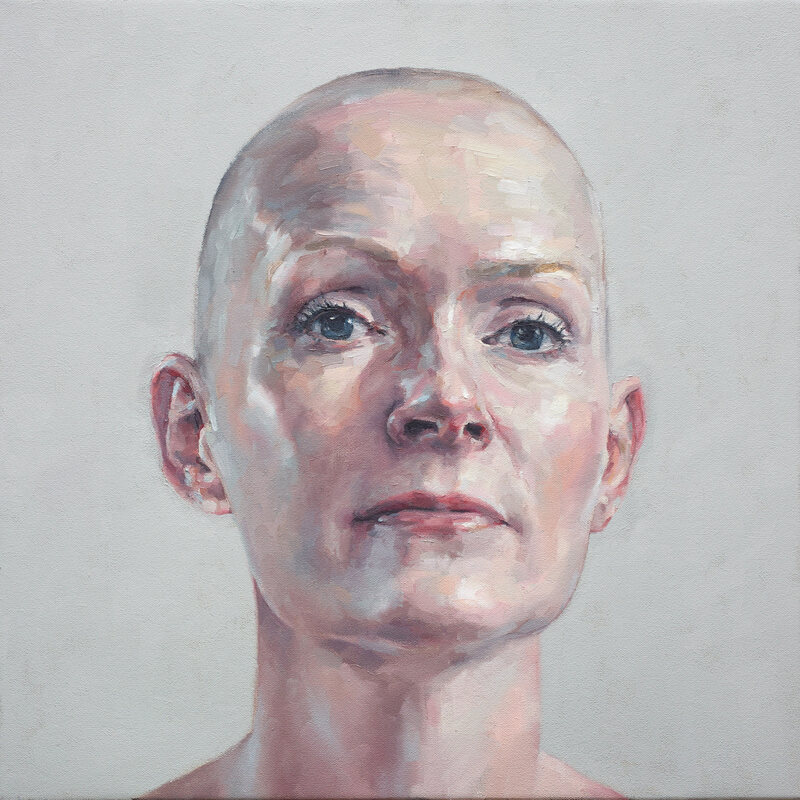 With a defiantly shaved head, Tarragh is at once glamorous, strong and void of affectation – in other words “bare”,’ says Burt. Born in Sydney in 1969 and raised in Melbourne, Burt lives and works in Brisbane. After a career in animation and freelance illustration, he has been painting full-time since 2011, and has had regular solo shows featuring landscape paintings, still life and portraiture. This is his first time in the Archibald Prize.